GMA Network Appeals Implementation of New Airtime Allotment Rule with the Supreme Court! Broadcast company GMA Network filed a petition for certiorari with a prayer for the issuance of a temporary restraining order and/or a writ of preliminary injunction with the Supreme Court to declare null and void the controversial provisions of the Commission on Elections’ (COMELEC) Resolution No. 9615, and to enjoin the latter from implementing such provisions during the 2013 national and local elections. This stemmed from the decision of the COMELEC to stand by its new airtime allotment rule despite the Network’s earlier appeal to seek clarification, and pray for the recall and modification of the said resolution, as well as the re-application of the per station airtime limits observed during past elections. In its petition, GMA, thru legal counsel Atty. Roberto Rafael V. Lucila, Atty. Pierre M. Cantara, Atty. Paul Erik D. Manalo, and Atty. Felipe Enrique M. Gozon, Jr. of Belo Gozon Elma Parel Asuncion & Lucila Law Office, stressed on the urgency of the matter involved in light of the approaching start of the campaign period. GMA said that the new airtime rule is “indeed a throwback to the days when the so-called political ad ban was in effect.” Given that access to media is impaired, GMA noted that “the New Rules therefore contradict and defeat the intent of the Fair Elections Act,” a law which the COMELEC is supposed to implement. 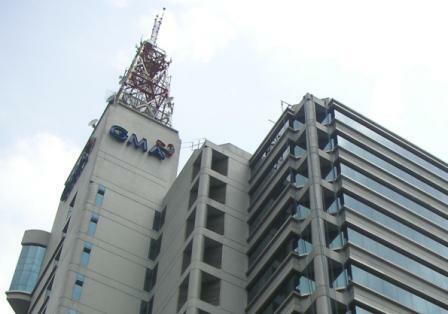 GMA added that, under the New Rules, media entities will be “constrained to undertake the impossible task of monitoring the broadcast of other radio and television stations and cable TV providers,” which would entail enormous added financial and logistical burdens, “in order to avoid administrative and criminal liability.